Our range of Lava vacuum packing machines are designed for domestic and commercial use. All of our vacuum sealers, feature top-quality German engineering and are covered by a two-year warranty. 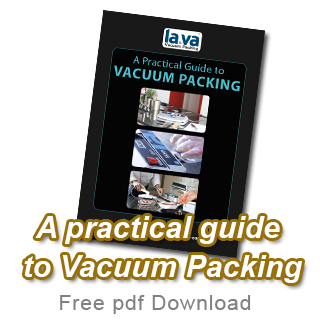 Lava vacuum sealers are suitable for home and hobby use as well as for restaurant trade and other catering businesses. We also have vacuum sealers and accessories for scientific and industrial applications. 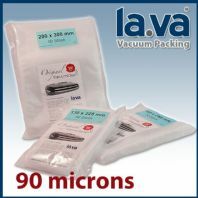 Lava have the largest range of vacuum sealers in the UK. Vacuum packing enables food to maintain its freshness and flavour 3-5 times longer than with conventional storage methods, because oxygen is mostly excluded and doing so preserves delicate flavours and prevents freezer burn. We have the largest range of embossed sealer bags, sous vide bags, textured vacuum rolls and accessories in the UK.